Warner Bros. is getting the Comic-Con reveals started early. Today they have announced Todd Phillips and Joaquin Phoenix's Joker movie will open on October 4th 2019. What's more, the film now has an official title and it's definitely going to blow you away. Penned by Phillips and Scott Silver, the film “centers around the iconic arch nemesis and is an original, standalone story not seen before on the big screen. 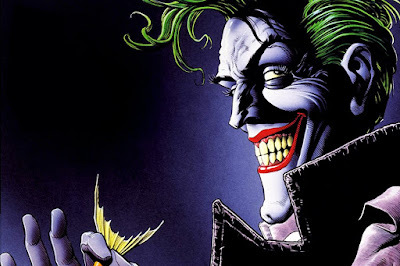 Phillips’ exploration of a man disregarded by society is not only a gritty character study, but also a broader cautionary tale.” It's expected to be an origin, revealing how Joker became the criminal genius we know as Batman's greatest nemesis. Unlike the other movies in the DCEU, Joker is part of a totally different banner of darker, standalone films. It'll be interesting to see if it's part of the Hall H presentation alongside Shazam, Aquaman, and Wonder Woman 1984.